Micro:bit box #3DThursday #3DPrinting « Adafruit Industries – Makers, hackers, artists, designers and engineers! This is a 3D printed Micro:bit box. It has a battery case holder (you glue the battery case to the holder), a hole for the LEDs and it is little bit larger then the original Toms design so you can push the Micro:bit inside and it wont fall out. The design has a reset button on the bottom, holes for power supply and programm uploder. This is printed with PLA on RepRap Prusa with 0.15mm layer height, 0.4mm nozzle on extruder temperature – 220C, and no heated bed. 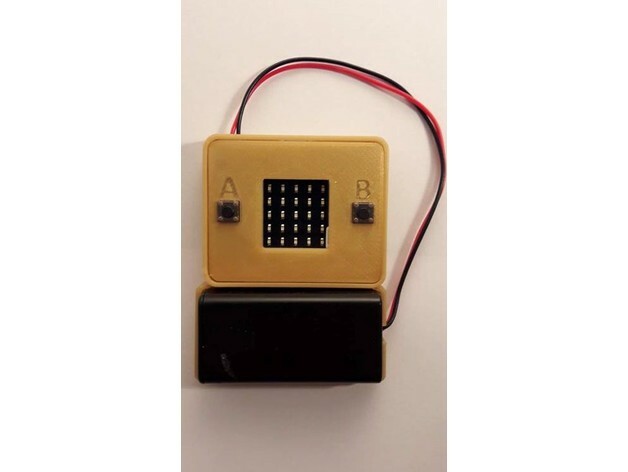 This is a remix of the Tom”s BBC micro:bit shell (thing:1692680).